April 15, 2013 – Adelaide, Australia – The number one site when it comes to zombie info, news and stuff – Zombie Central – provides information and goodies to all zombies followers all over the world. Zombie Central offers a collection of “all things zombie.” We search for the latest zombie gossips, news, and goodies. We have the commitment to reveal the truth about zombies to people all over the globe. We want the whole world to know about them. We provides Zombie FAQ to get to know about the zombies better and you can also ask our resident zombie expert, Otto, anything related to zombie. You can even upload and post any zombie photos that you have. Share them to the whole zombie fans. Plus you can write a blog, anything about zombie and everything you know about zombie. You can put your favourite zombie games and movies. You can even show off your zombie inspired cake. Zombie Central even provides the latest zombie make-ups and fashion that you would surely love. All you need to do is look for Annalise’s Zombie Food and Fashion tips in our blog. And if you want to laugh, go to our zombie humour and read different kinds of zombie jokes and laugh your heart out. Moreover, if you want to be inspired in creating different zombie faces, why not check-out the zombie pix. 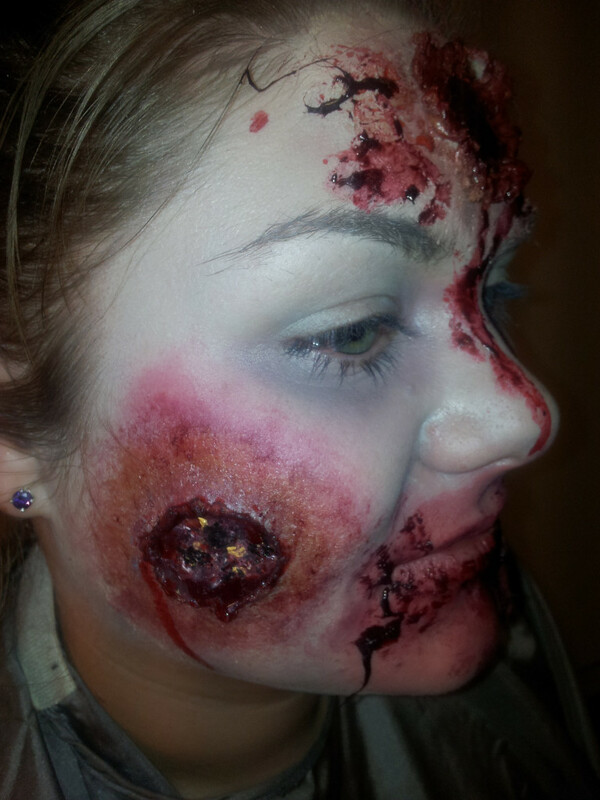 Here you will see different photos of zombie make-up by Sam. You can also visit our other monthly blogs for more zombie information. It is really fun and exciting to get the latest news about zombies. That is why, we love sharing everything we knew about these undead people. We also want to educate people around the globe about them and on how to survive in a zombie infested place if ever the zombie apocalypse will come true.